I love IPA (India Pale Ale). The great thing about Portland is that you can easily find MANY great IPAs. While pondering the possibilities of my next homebrew, I decided to make a non-traditional version—something that has the flavors of an IPA, but with a twist. Main Street Homebrew, one of my local homebrew stores, had a Black IPA recipe which sounded very intriguing. 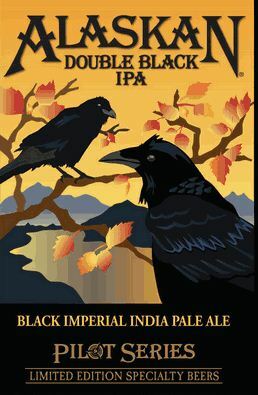 I bounced this idea off my co-worker Kim (a treasure trove of beer information), who told me that a new term was coined to represent this style of beer—Cascadian Dark Ale (CDA). A quick Google search led to the details. CDA is an emerging style, which means it does not have established guidelines about color, taste, or aroma. In general, CDAs have the taste of an IPA, but are built upon the black malt base of a stout or porter. While they have a dark color and the roasted malt flavors common to stouts and porters, they possess the lighter body of an IPA. Sounds like the perfect beer for me! Sign me up. If you know where I can find these, or if you have other CDA suggestions, please let me know! Have you tried a CDA? Let me know what you think of them. Will you please tell me the origin of IPA? I remember reading on a bottle that they added hops to the brew to make it last on the long ocean voyage to either India or the West Indies or something .... is that right? I don't trust much of what I read on beer bottles. Especially when I'm reading empty ones .... my vision isn't too good. Jeff, you’ll be glad to know that your beer bottle and vision did not lead you astray. 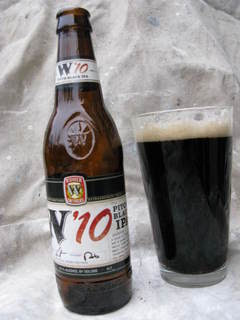 The tasty brew had to travel from England, around Africa, to India--where the thirsty British troops were stationed. Hops are a natural preservative, so more were added to keep the beer fresh during the long journey. One site I read mentioned that dry hopping was also used to provide an extra dose of preservative. This made the beer more attractive by giving it that oh-so-nice hoppy aroma. So go forth and impress your wife, friends, and mailman with your newfound knowledge…and have an IPA while doing so. You can get Dogzilla at New Seasons... It's tasty too!! Thanks! I didn't notice Dogzilla at NS. I'll pick it up next time I'm there.